Does your roof look like this? It's time to talk to Roofing Solutions Hobart. Roofing Solutions, Hobart Tasmania can remove your old tile or tin roof and replace with BHP Zincalume or Colorbond® so that your old roof problems are gone. No more rusting, leaking roofs. Add value and style to your existing home with a complete re-roofing from Tasmania's leading domestic re-roofing specialist, Roofing Solutions. 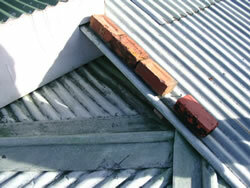 Our re-roofing professionals in Hobart Tasmania have over 15 years experience in the industry. 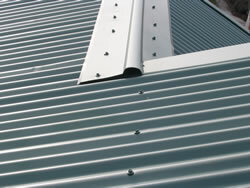 Your roof protects from the elements and, therefore, is also vulnerable to them if it id old, rusty or damaged. Whether your roof is in need of minor repair, or you require a brand new roof or re-roof, selecting the right structure and contractor is critical. Talk to Roofing Solutions Hobart, for professional, independent advice.